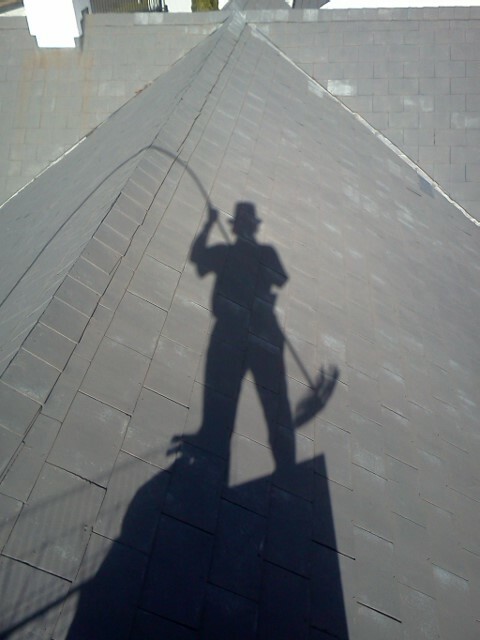 I have been cleaning chimney's for just over 20 years. The reason for cleaning your chimney are firstly for safety. When there is enough of a soot build up, your chimney stands the chance of catching alight. This especially occurs on those days when the fire has been burning for hours perhaps through the whole day. With a free standing unit this sounds like a jet engine. When the chimney is alight you are often the last to know, and by the time you realize there is a fire in your chimney, the roof is already on fire. There is a bad smell, which is left floating around the house, that smell of fire. This smell is caused from a dirty chimney. Before lighting a fire, it is also nice to know that I have cleaned the chimney, ensuring there is no blockage. The fire place is cealed off at the bottom an the correct size brush is attached to chimney rods which are pushed down the chimney.The soot is then removed from the bottom. After doing this for 20 years I have learned how to do this with out making a mess, very important for me to have any repeat business. The chimney can be cleaned from the bottom up although I prefer to do it from the top down.Thhe rods are flexable to pass round the dog leg corners of the flue.